New banner ad is added in SCAYT plugin for CKEditor 4 which is running under the free services. 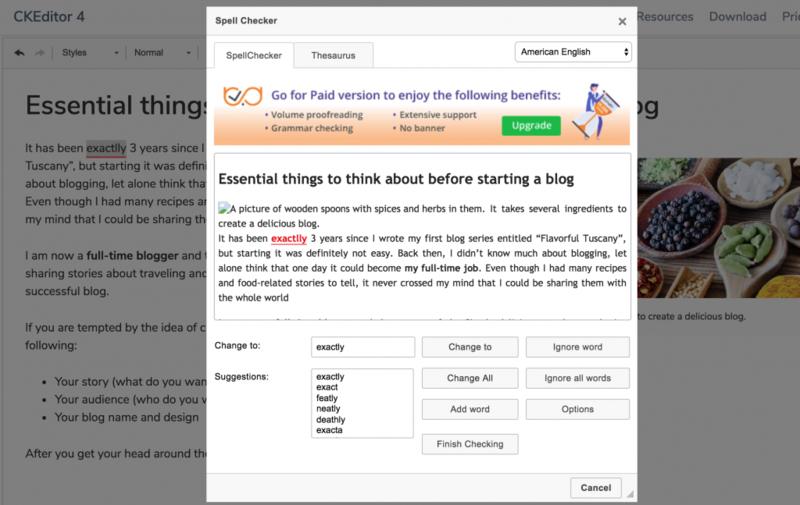 New banner ad is added in WSC Dialog plugin for CKEditor 4 which is running under the free services. [WP-2569] WProofreader: Changes made in the Dialog mode are not saved to the CKEditor 5 body. [WP-2404] WProofreader: WProofreader: Suggestion box has wrong position in <iframe> element with border width more than 0. [WP-2564] WProofreader: Incorrect getMaxZIndex related to HTML stacking context. [WP-2565] Incorrect resize behavior and getCoordinatesFromRange functionality. 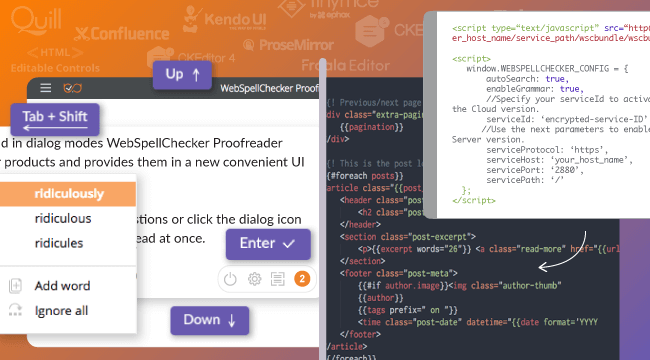 Support of as you type mode for editors based on a custom data model.WProofreader fully supports ‘as you type’ mode in a wide range of WYSIWYG editors with a custom data model and virtual DOM such as CKEditor5, Quill, Trix, ProseMirror, Scribe. 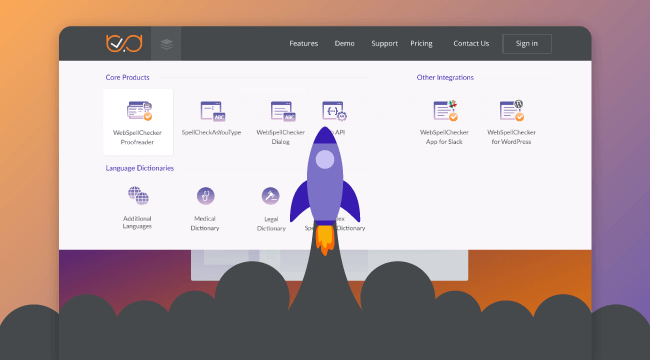 Simplified global custom dictionary management. With the new mechanism in the Global Custom Dictionary functionality, there is no need to regenerate the activation key. The dictionary will be automatically enabled in 10-15 mins. Enabled customDictionaryIds parameter. Once a dictionary is created, a unique dictionary ID is assigned to it. This IDs with customDictionaryIds parameter can be used to implement more flexible approach in your app. [WP-2556] The Slovenian (sl_SL) language doesn’t work. [WP-2562] WProofreader: Badge button and markup elements are hidden under elements that have higher z-index than WProofreader elements. [WP-2563] WProofreader: Incorrect behavior of instances in model editors.